I have been obsessed with Frozen ever since I saw the movie way back in the beginning of December. I know the soundtrack by heart, and I just love everything about it. 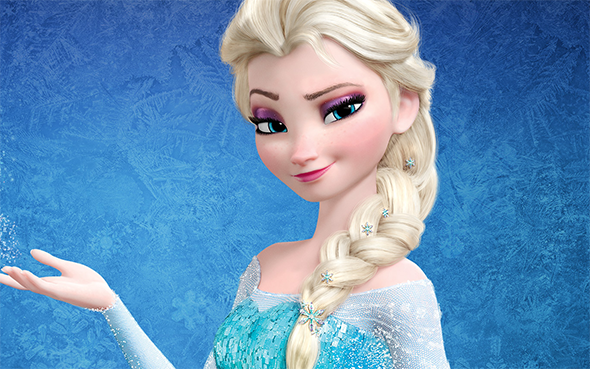 I wish I looked like Elsa, but alas I don't. So to compromise I had a bit of a play with my makeup stash and came up with an Elsa inspired look. I'm really happy with how it turned out, it wasn't as over the top as I thought it would be and it's actually pretty wearable! Urban Decay eyeshadow in Guilt all over the lid (from the Eye Arsenal set). Sephora eyeshadow in Ursula through the crease and lower lash line. 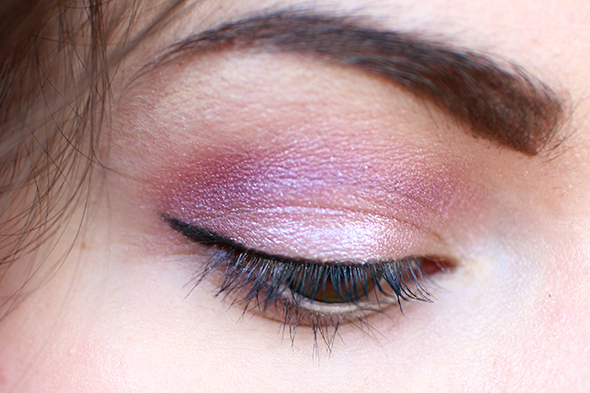 Sephora eyeshadow in Sha La La in the crease and outer corner (both from the Ariel Storylook palette). Chella highlighting pencil on the waterline. 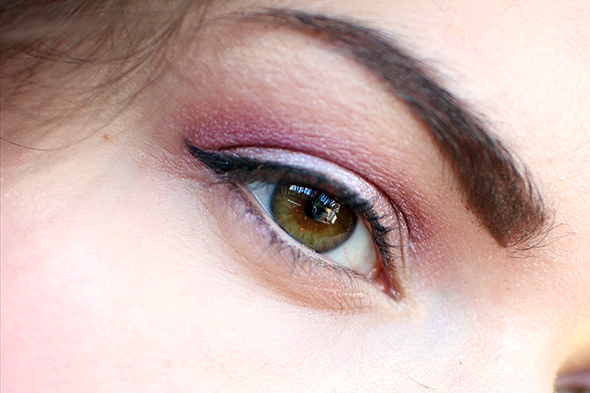 Bourjois Liner Feutre. Clinique High Impact Mascara. MAC Captive on the lips, topped with NYX Butter Gloss in Strawberry Parfait. Bobbi Brown Powder Blusher in Nectar on the cheeks. Aw this is a great idea to do a Disney tutorial. I've not seen Frozen yet, I'm a bit stuck in my ways when it comes to Disney movies, I tend to stick to old faves! Beautiful! I really like it. I just watched Frozen recently and fell in love. I still haven't seen Frozen :( but I love the lips! I looove that lip colour, it looks lovely! I haven't seen frozen yet but really want to! I think you look prettier than Elsa, babe :) And I love the look you created. Gosh darn those luscious lips, too!!! ♥ I am a big fan of Frozen too and since my little one is pretty hooked to the soundtrack, we've been playing it all day, everyday for quite some time now. I may be going crazy... I think I'm turning everything to ic--. LOL! Wow this is such a pretty look, and I'm especially loving the lip color! I haven't seen Frozen yet, but I'm thinking I probably should at some point! This looks so beautiful! Haven't sen frozen yet though unfortunately :( I really want to!